Come learn to sail on idyllic Quitsa Pond! Our program welcomes kids of all abilities and ages and we encourage those with little to no experience to give sailing a try. Students will be in daysailers with other students and an instructor at all times. Students will learn the fundamentals of sailing via first hand experience. In order to participate, all students must be able to swim. In addition, see the list of “Things to Bring” to prepare your child for lessons. We will provide every student with a lifejacket, but feel free to bring your own if you prefer. Students may not bring electronics on the water (instructors will maintain contact with shore at all times). Arrive 10 minutes prior to your lesson to give time for drop off, getting fitted for a lifejacket, and making sure the boats can leave promptly at the start of each lesson time. Arrive 5 minutes before pick up time so that the instructors can do check out and have time to get the next boat of kids on the water promptly. Lessons leave from the Chilmark Town Landing - to minimize traffic, PLEASE CARPOOL. Sailing during CCC hours is only available to kids 6+ registered in the morning program. For kids participating in the Morning Program, lessons may be booked in the CCC office at a cost of $30/lesson, $100/4 lessons, & $200/10 lessons. We also offer private lessons to individuals or groups of all abilities and ages. Please contact Noah (lipnicklessons@gmail.com) or Nick (KarnovskySailing@gmail.com) if you are interested. 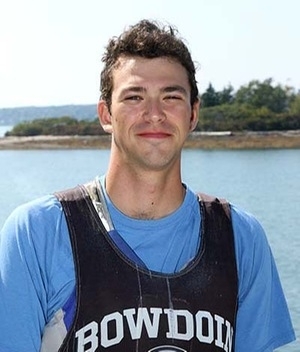 Nick is a rising senior at Harvard University and is captain of the Sailing Team. Growing up, Nick spent his summers at the Center and sailed nearly every day. Nick can think of no better place to be than on Menemsha pond.